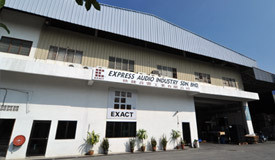 Express Audio Industry Sdn Bhd is structured to optimize the company's resources, to facilitate the company's strategic positioning and to administer and manage its business activities effectively. Presently, it operates three separate plants which focuses on different segments of the audio/plastic product market, namely cassettes and CDs replication, manufacturing of cassette parts and related accessories and manufacturing of uPVC pipes and fittings. Lot 3385A, Batu 9½, Jalan Hulu Langat, 43100 Hulu Langat, Selangor. 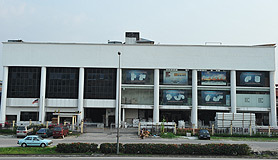 47, Jalan Jejaka Dua, Taman Maluri, Cheras, 55100 Kuala Lumpur. 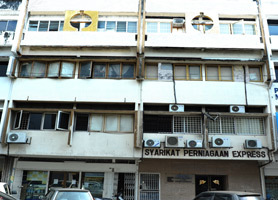 Lot 19089, Jalan Taming Jaya 1, Taman Taming Jaya, 43300 Balakong, Selangor.